If you love harp but want a fuller sound, then the Harp, Violin and Cello trio is the perfect option for you. 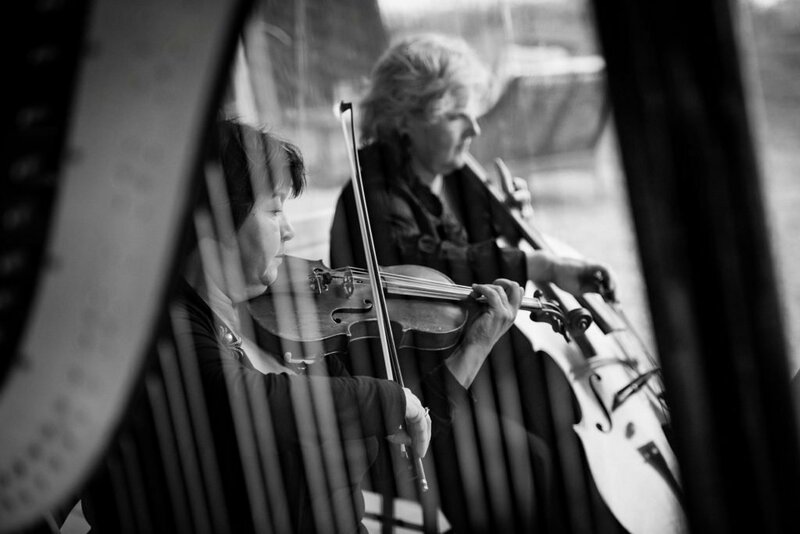 Our Harp, Violin and Cello Trios have an extensive list of classical and pop music perfect for any wedding or event. We created this trio many years ago and it is not an ensemble you will commonly find in and around Vancouver. We are proud to offer this trio as one of our specialty Musical Occasions offerings! If you don’t see the song you are looking for, please enquire. It may be possible to custom arrange a special song for you (an additional fee may apply). For weddings, we recommend booking the concert pedal harp for the best sound, the greatest versatility and the most repertoire options. All of our wedding harpists perform on the pedal harp. If you are looking for a Celtic harpist, please visit the World Music page of our website.